£1 standard delivery at RIVER ISLAND. *|£1 standard delivery offer only valid on online orders placed between 00:00 GMT 24th March 2019 and 23:59 GMT 31st March 2019. 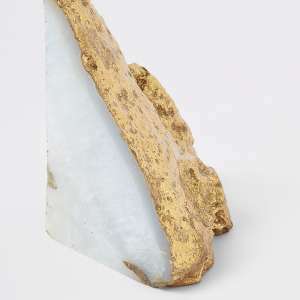 Got any good recommendations or supplier names that sell quality real stones? Sorry i dont carry any of those. im focused on cabs which people wire wrap with. Thank u guys for all ur replies .with Pretty little thing there’s delivery charge is there any free delivery codes does anyone know? My daughter got a pair from pretty little thing. Dont mind at all.. thanks for the help wishihadadonkey!! Never knew they changed c&amp;c to free for £20+, must be new. Just ordered 2 packs &amp; 3 Leggings. Daughter will be happy. Thanks OP! I bought a pair of size 10 and collected yesterday. A fantastic deal. Thank you OP. Thanks just ordered 2 items. Expected to arrive on Wednesday 30th, C&amp;C.
River Island have their standard delivery charge down to £1 Ideal for those who don't have a River Island store near them :) Discount applies to sale items too. Thanks, I wish I had known this when I ordered this morning. Thanks I hadn't realised they had reduced further. Looks cool. 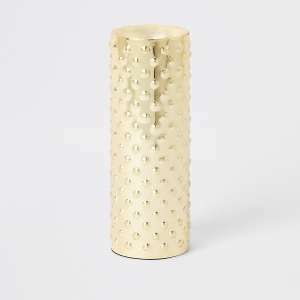 I thought it was a whisky glass but I think its for holding a candle. They’re nice looking,but I don’t know what they are, really. Reduced from £18 down to £7. Cheaper than anywhere else! Why are you promoting a 50% marked up drop shipped dodgy Chinese console and a visit to the dark web or are you trying to be 'ironic'? :? I hate the bario brother games. They're for people who eat FatDonalds. Loads! Standouts are: Sanic the Hedgehog, Pokeyman and The Super Bario Brothers to name a few. Any decent games on this? River island sale is now 70% off! River island sale has now gone to 70% off! Spend £65 for free delivery, either that or collect in store for free. only just got ready for collection email today!!! hows everyone else got on? Super cute mermaid blanket. Available in blue and pink. Free Click and Collect. Perfect for my daughter's 14th birthday present thank you! Awesome! My daughter would absolutely love this! Thanks for sharing. Suppose it's a plus then, most River Island stuff is mass produced overpriced thoughtless tat. There are no”known” games on this item, just mass produced thoughtless tat. Does it have asteroids and lunar lander? If so, I'm in! Check Tesco, I picked one up for £5. In 1948, London-based entrepreneur Bernard Lewis began selling fruit and vegetables from a bombed out site in the East End. Shortly after, he also began selling knitting wool and this was where the company's move into fashion began. By 1965 there were 70 Lewis Separates, as the store was then known, throughout the country. Shortly after, the company was rebranded Chelsea Girl as a nod to the Chelsea fashions of the ‘60s. The company expanded into menswear in the ‘80s with the launch of Concept Man. The two stores were merged in 1988 under the name River Island. A range of River Island Kidswear was launched in 2010. Since the ‘90s, River Island has expanded into many countries worldwide and today there are over 350 stores across the world in over 15 countries and the online shop delivers to over 100 countries. Still a private company, owned and run by the Lewis family, River Island has, over the years, established itself as one of the UK's most beloved fashion retailers. With over 300 stores across the country, chances are there's a River Island store somewhere near you. You can use their online store finder to find your nearest store and to see all locations nationwide. 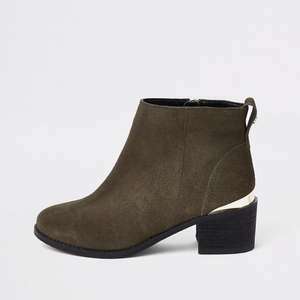 If you're more of an online shopper, or you prefer to see what's in store before you go in in person, you can check out the whole range of clothes and footwear at www.riverisland.com. Women – Women's fashion includes items like dresses, skirts, shirts, tops, jackets and coats or lingerie. Men – In the Men's fashion section you will find pieces like jeans, polo shirts, suits, shorts or underwear. Girls – The Girls fashion clothing department is divided into pieces for girls from 0 to 5 years and 3 to 12 years of age. It features items like dresses, jeans, shorts and skirts, swimwear, nightwear, leggins and shoes. Boys – Boy's fashion divided into the four categories Just Arrived, Boys (3 to 12 years), Mini Boys (0 to 5 years), and Featured. It includes pieces like shirts, trousers, suits, hoodies and sweatshirts, shoes and boots. There is also a special seasonal section that changes with the time of year. Divided into Women's, Men's, and Kids. There's a whole host of great offers to take advantage from throughout the year at River Island's online shop. Each department has its own sales page, and if you're looking for a great deal on top fashion, it's worth keeping your eye on. 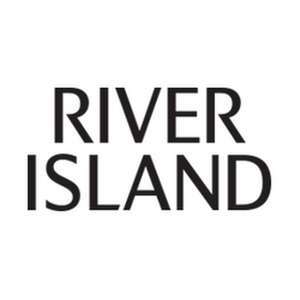 You can also sign up for the River Island newsletter on their home page for the latest fashion news, trends, style tips, and exclusive offers on a whole wide range of items. River Island offers student customers an online and in-store discount. Simply enter your NUS Extra number at the checkout. For the last few years River Island has participated in the annual global consumer spree that is the Black Friday and Cyber Monday weekend. Last year saw River Island slashing prices on fashion, footwear and accessories right across the board. Time will tell what the company has in store when the end of November swings around this year. Saving your details for faster checkout. Saving up to six addresses for delivery. The option to subscribe to the newsletter. At riverisland.com, many methods of payment are accepted. These include Visa and MasterCard credit cards, Visa Debit, Visa Electron, Solo, Maestro and Mastercard debit cards, American Express card and PayPal. Please note that Express Delivery is not available in Northern Ireland, the Scottish Highlands and Islands, the Isle of Wight and Isle of Man. For international deliveries, the cost varies depending on the place. Further information can be found on the International Delivery page. If you wish to return an item that was bought on riverisland.com, for any reason, you can do so within 14 days of receipt and receive an exchange or a full refund. Items can be returned to a River Island store, using a free postal service (Royal Mail, Hermes ParcelShop, Collect+, Doddle) or via a courier using River Island Parcel Collection. Please note, for health and hygiene reasons there are no refunds available on underwear, grooming products, pierced jewellery and food. Also, swimwear cannot be returned if the hygiene strip has been removed. Detach and complete the Returns Slip. This can be found at the foot of the Despatch Note in your parcel. Repack the items securely in their original packaging, along with the completed Returns Slip. To create your Returns Label, click the link in your despatch e-mail. Print out the label and attach it securely to the front of your package. Be sure to cover the original label with your details on it. Take the package to your desired location within 14 days of receipt. Don't forget to get a proof of postage. Allow 28 days for processing your return order. For information regarding weight restrictions for each carrier service, see the returns page River Island. River Island, like many large retailers, has a strong following on social media. Following their various channels is a great way to be among the first to hear the latest news and trends at River Island, as well as learning of exclusive offers and discounts, both online and in-store. If you're looking to save some money at River Island, following them on their social media pages is a great way of doing so. Style Insider is River Island's online blog where you can read about the latest news, deals and trends, browse interviews, as well as take part in online competitions. By phone at 0344 5766444, which is for UK and ROI customers only. The line is open from 8:00 to 18:00, seven days a week. Please note, the customer service team is not able to take orders by telephone. Fax at 0208 991 4500 or e-mail at customer.services@river-island.com. You can also use the online contact form to get in touch. You can also view River Island's FAQs section on the website or see the size guides if you're not sure which item fits you. Why pay more when you can save big? For the latest deals and discounts at River Island be sure to keep up to date with their dedicated page at hotukdeals!